Burns Original Kitten – Chicken and Brown Rice is a great-tasting complete dry food for all breeds of young cats. It provides your kitten with a balanced diet with all the eΒential nutrients it needs to grow into a healthy, lively adult cat. 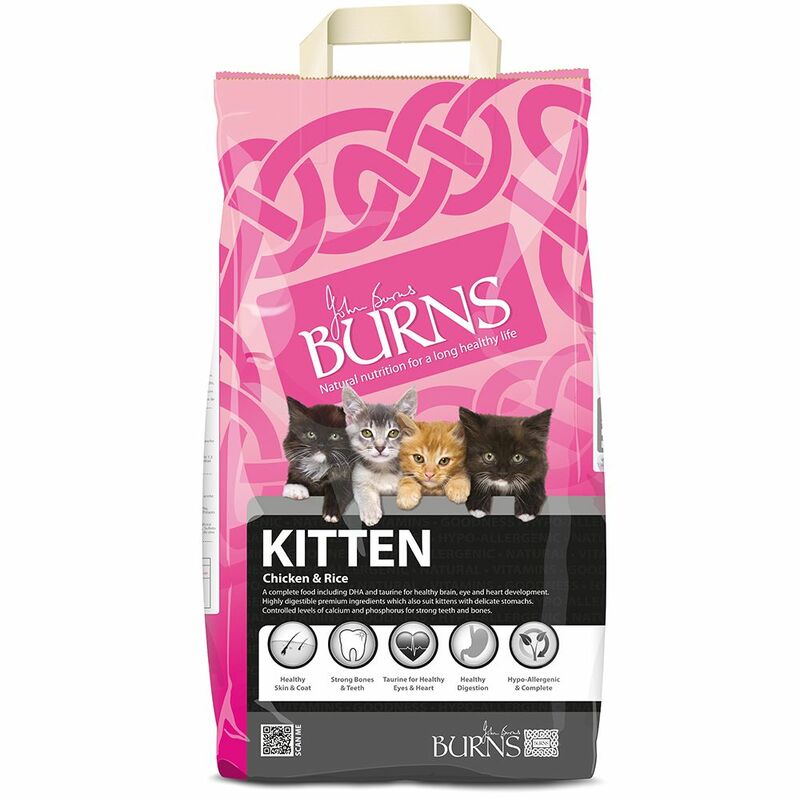 Burns Original Kitten dry food is hypo-allergenic. It is made without ingredients such as wheat, dairy and soya which can cause food intolerance. It is also free from all artificial colourings, flavourings and preservatives. Burns chicken and brown rice dry kitten food encourages healthy development and growth. It contains taurine which is beneficial for eyes and heart. It also promotes a healthy digestive system, strong bones and teeth as well as supple skin and shiny fur. It is suitable for all young cats up to the age of 36 weeks. For very young kittens the kibble can be soaked in warm water to give it a porridge-like consistency. Burns Original Kitten - Chicken and Brown Rice at a glance: Complete dry food for kittens and young cats up to 36 weeks Hypo-allergenic: suitable for sensitive kittens Promotes healthy growth and development Developed by a veterinary surgeon Supports a healthy digestive system Contains no wheat, beef or dairy Encourages supple skin and shiny coat Encourages strong bones and teeth With taurine for healthy eyes and heart Made in UK.